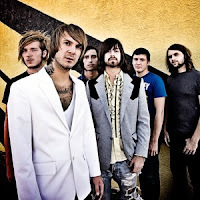 Craig Owens and Chiodos have parted ways. "To all of our friends, family, and fans: We would like to let you know that we have let Craig Owens go as the singer of Chiodos. This decision was a necessary one. Out of respect for all of the hard work that we have put in together for all of these years we will not be discussing the specific reasons that this needed to happen. We wish Craig well . We will absolutely be continuing on as a band and we will keep you informed as this next chapter unfolds. Chiodos fans are the best fans in the world and all we can ask of you, after everything you have already given us, is to share in our excitement for this next album. We promise you will not be disappointed............Brad, Jason, Pat, and Matt"